WELCOME TO MY WEBSITE. YOU'VE COME TO THE RIGHT PLACE!! Having growing pains? Not sure if you should stay or go? Call me to get your free "HOME VALUE REPORT". This report is packed with useful information regarding sales and market trends in your neighborhood. For up to date information on the Texas real estate market, please go to "www.TexasRealEstate.com". You can also go to "www.Hud.Gov" for more information about the Homeowner Affordability and Stability Plan enacted to help struggling homeowners. NOW IS THE TIME TO BUY!! Interest rates are still low and home prices are affordable. Call me and we can work together to get you into the home that is right for you. Although time has run out for federal government sponsored tax credits, the State of Texas and the City of San Antonio offer various assistance programs for first time home buyers. Each program has different qualifying criteria, so please call me or email me with any questions. You may also go to www.MyFirstTexasHome.com, or www.sanantonio.gov/nad/HIP, to get an idea of what the State of Texas and City of S.A. have to offer. I specialize in the communities of N.E.San Antonio, Universal City, Selma, Schertz, Cibolo and New Braunfels. I'm especially familiar with these communites, since I've resided in the area since 1984. I have a well rounded knowledge of the real estate industry. I've worked twelve years total in banking and financial services, as well as ten years with a well known and respected title company, of which four of those years, I was a Closer and handled real estate transactions. I obtained my real estate license in 2001 and have the experience to be your advocate through out the sales process. I truly enjoy working with people and work hard to overcome obstacles associated with getting contracts to the closing table. 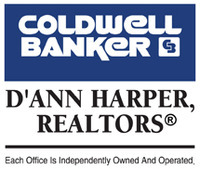 I have the Realtor designation since I have sworn under oath to uphold The Code of Ethics and Standards of Practice. For more info on what that means to you, please feel free to click onto the link located on the sidebar. Some of the things I like to do when I'm not working with clients, are putt putt golf, camping, dancing, yoga and anything with my family. I look forward to the opportunity to work with you. I'm here to assist you with your real estate needs. Let me make the sale or purchase of your home a pleasurable experience. Please review the entire Texas Real Estate Commission Consumer Protection Notice at www.trec.texas.gov.